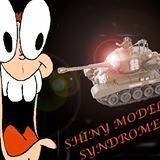 Shiny Model Syndrome has posted episode 32 of their podcast up online for your listening pleasure. Back again this week, we do some list talkin'. We talk some fantasy, some 40k, and some Warmachine. Plus, Axel yet again gushes over some new shiny models. Enjoy!